I was pleasantly surprised and humbled when "Winter Arrives" received a 2nd Prize award at the OA Gallery "Sky's The Limit" show this week. 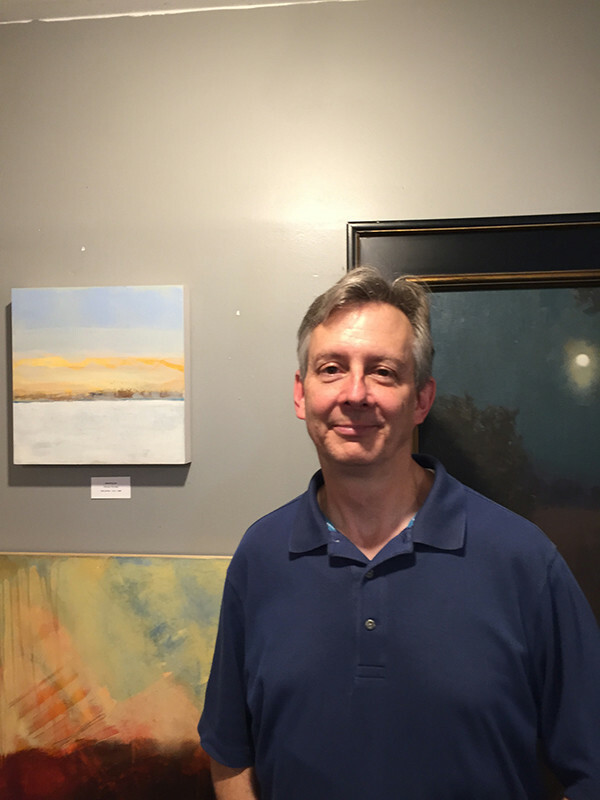 Thanks to the team at OA Gallery for putting up a wonderful show in the gallery with over 100 works of art and 40 artists. (Personally, I can't even imagine having to hang so many pieces!) The show looks fantastic, so if you have a chance to stop by please take a look. Special thanks to Lisa Ober for the invitation to paticipate. 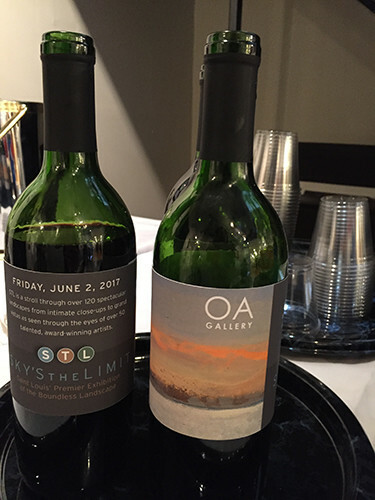 It was also fun to see an image of my painting used as a label for the wine serves at the reception. How cool is that? Here's a photo from the reception and a photo of the wine bottles.